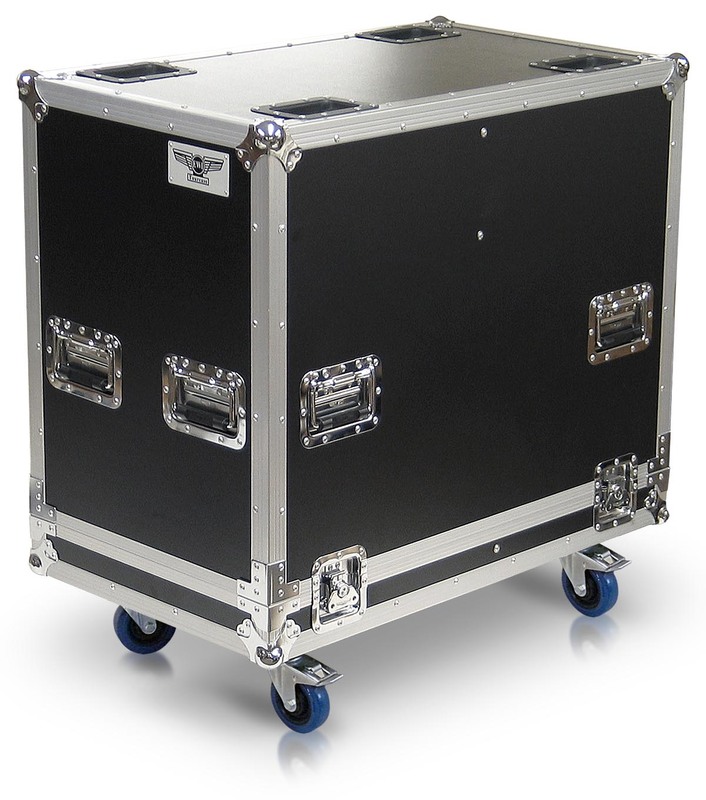 This is the EWI Tourcase tm Model JBL-SRX-812P road case, which is a pullover style case, suitable for housing two JBL SRX812P speakers. This case could also be suitable for other makes and models of speakers. The side panels are constructed with 3/8 inch hardwood plywood and covered with a black ABS laminate surface. The extrusion is all aluminum and assembled with aluminum rivets. The rivets on the 8 recessed handles are backed with washers to ensure strength and durability and the inside of the case is fully lined with 3/8" closed cell foam rubber. The tray and lid both have dividers to keep the speakers separated. 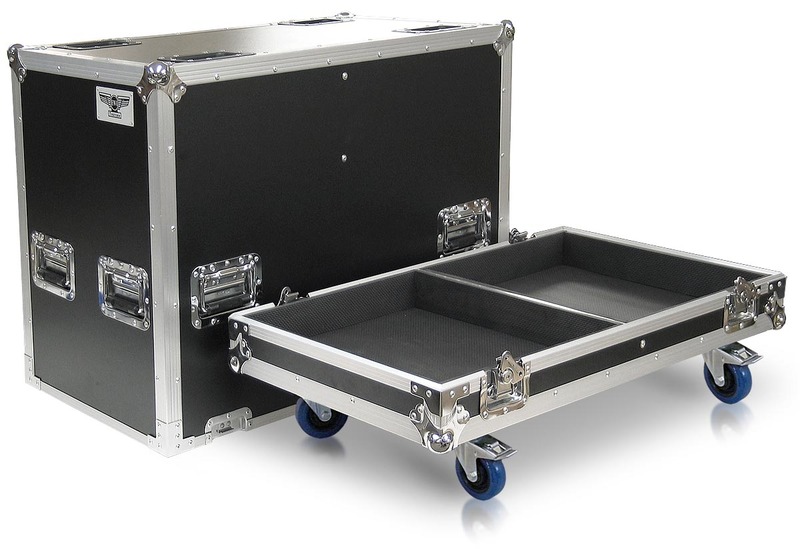 The JBL-SRX-812P case is equipped with 4 recessed butterfly latches to secure the cover to the tray and four 4" swivel casters are included, two of which are locking style. The casters mount to a 3/4" plywood caster board. This case also has caster cups built into the top to allow stacking of another case. The EWI Tourcases are manufactured to exacting tolerances with excellent fit and finish. This is a well made case that is sized nicely to house two JBL SRX812P speakers and possibly many other makes and models of PA speakers, however: Check the dimensions of your speakers for proper fit before ordering. Left to right of each compartment: 17 1/4"
Front to back: 16 5/8"
Dimensional shipping weight: 149 lbs.